I first learned of Jonathan Safran Foer in college, when I read his debut novel, Everything is Illuminated, in a course titled, "New Voices in Jewish Fiction." And he was just that—his unique writing style was fresh and the story he told, though fictionalized, reflected a Jewish journey of self-discovery. After his first book was named "Book of the Year" by the Los Angeles Times and was made into a feature-length film, he wrote his second novel, Extremely Loud and Incredibly Close, also made into a film, which uses 9/11 as the backdrop for the story. He is also the author of the non-fiction book, Eating Animals, and the editor of theNew American Haggadah, which came out last Passover. 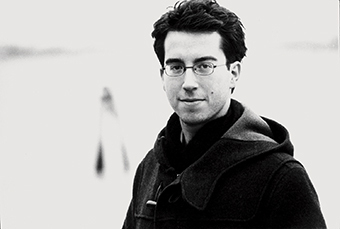 Foer is the winner of numerous awards, including the Guardian First Book Prize, the National Jewish Book Award, and the New York Public Library Young Lions Prize. He's been named one of Rolling Stone's "People of the Year" and Esquire Magazine's "Best and Brightest." Safran Foer, who is working on his next novel, is currently the Lillian Vernon Distinguished Writer-in-Residence at New York University. Foer came to Chicago earlier this month for a session titled "Jonathan Safran Foer on Judaism, Writing, and Inspiration," part of the Spertus Prime series. 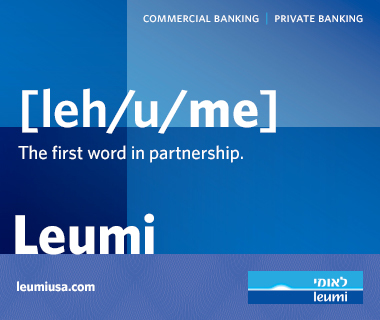 Oy!Chicago: Can you give us a preview of what we can expect to hear when you come speak at Spertus next month? Jonathan Safran Foer: I'm going to talk about two heroes of mine and the way that they informed my thinking about both writing and art but, also, religion and the intersection of the two. The program is titled, "Jonathan Safran Foer on Judaism, Writing, and Inspiration"—where do you find inspiration? I don't find it really—I try to make it. It's not like I have lots of great ideas and I sit down to write them. It's through the act of filling pages that I force myself to have ideas—most of them are bad and some of them are okay and I keep the okay ones and I try to make them better. I think there is a misunderstanding about the process that first you find something and then you share it. For me, you create the thing in the process of looking for it. Age-old question: Are you a Jewish author or an author who is Jewish? I think time will tell better than whatever I will say. I think the question of what we consider ourselves is not as important as the question of what we do with ourselves. People are all the time wrong about who they think they are. I've been surprised by the way that Judaism as surfaced in my writing, continually—it almost can't be suppressed. Not that I try, but it's just constantly there and I wouldn't have guessed that before it happened. I wouldn't have described myself as somebody to whom that would happen. I understand that you took time away from your own writing to write the New American Haggadah. Why the need for a new haggadah and why was this an important project for you? I didn't see a need—writing isn't really guided by need as much as instinct, curiosity or just desire, and I had all those things for this project. For a number of reasons—one is it's just an interesting book. If you divorce it, if that were possible, from its religious context, it's one of the oldest continually told stories, one of the most dramatic moments in any kind of literature or book, so the idea of spending time with that was exciting. But also, personally I've been going to Seders my whole life and been somewhat underwhelmed by Seders my whole life, and I wondered if there wasn't a better way to think about [them]. As someone who completed your first novel in your 20s, what advice do you have for young, aspiring writers? I think the people who are going to end up writing books don't really need advice. Ultimately what separates published writers from unpublished writers is not talent, or often it's not—it's energy and wherewithal and willingness to write despite all those many, many reasons not to. I think people have to make their own mark, and find their own reasons—one thing I often say to my students is making your story better is a lot easier than making it longer. Really truly, the biggest challenge for a writer is to keep writing. For more information for the Spertus Prime event, visit www.spertus.edu.